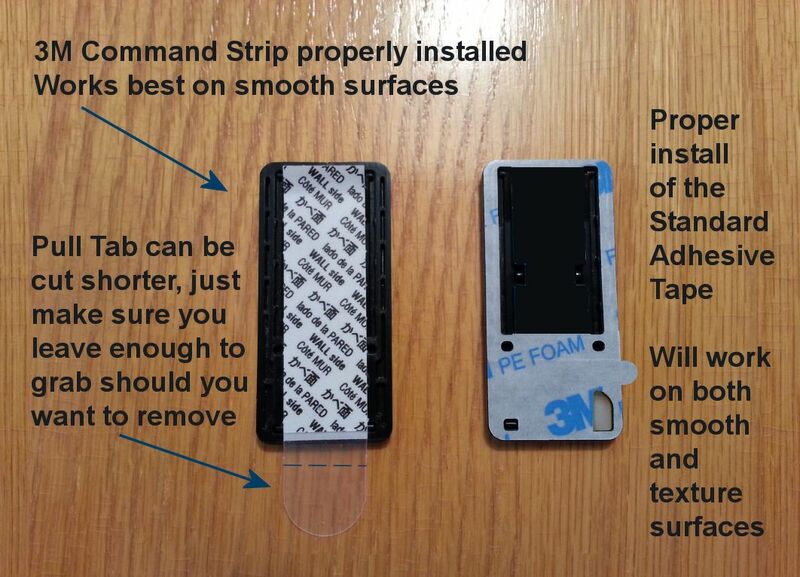 On the "left" is the easy to remove 3M Command Strip and on the "right" is the Standard 3M adhesive - still removable, but a little harder to remove. For cosmetic reasons, if you don't think you will ever have a need to remove the mobile kickstand, you can simply cut the "clear tab" off of the 3M Command Strip to give it a more permanent look. To remove would be similar to the standard adhesive. Perfect time to pick up some spare adhesive tape of your preference to use when re-mounting your 2nd Generation kickstand4u™ mobile kickstand on different devices. No charge shipping on tape.